With the passing of Memorial Day, the unofficial start to summer is here! That means it’s time for beach chairs, flip flops, and outdoor concerts. If you’re heading to Epcot you’re in for a treat at the park’s America Gardens Theatre in World Showcase. 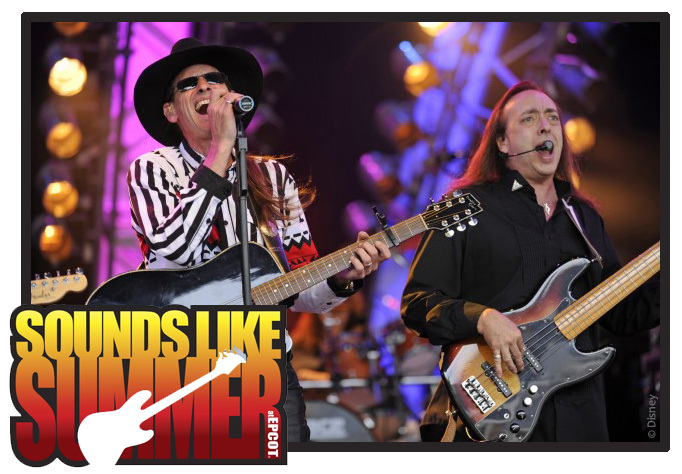 Each evening from June 10 through July 28, the Sounds Like Summer Concert Series features some of the best tribute bands around. Hotel California – A Salute to the Eagles (pictured above) gets the party started on June 10. The series will also include bands performing songs from U2, The Bee Gees, Billy Joel, and Bon Jovi, among others.